I see that many tools in the market deal with Position and Order in the form of operation panels. Which is loaded into a Chart in the form of an EA. However, once the operator panel EA is loaded, no other EAs can be loaded. 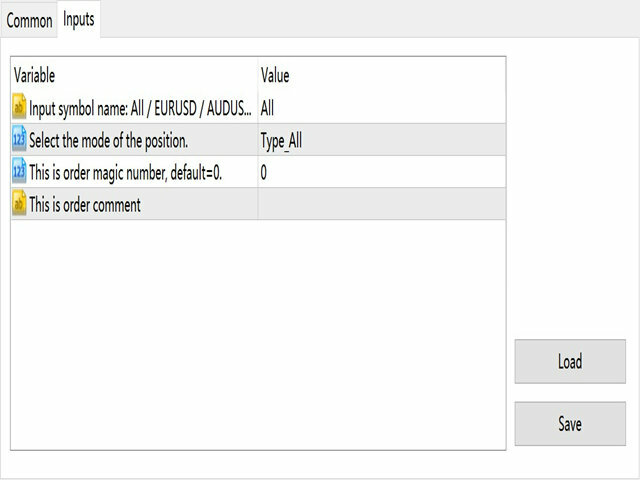 So, I wrote the one-click operation of Position and Order as a script, so you can load other EAs and easily complete one-click operation of Trade. This is a one-click script to close position order. This is Demo version, you can't change any parameter, I believe the DEMO version is also useful. You can choose the symbol of the position order. Default is All. You can enter magci number, the default is 0. You can enter comment, the default is "". Input Enum_PositionType TYPE_Position=Type_All; //Select the mode of the position. Input int MAGICNUM=0; //This is order magic number, default=0.